Elizabeth Bay Marina. Photo Bellingham Marine. Sydney, NSW, Australia – 21 June 2018 – Proving that you can’t keep a good marina down, the century old Elizabeth Bay Marina recently opened again in its new incarnation. The marina is located in Elizabeth Bay, a harbourside suburb of Sydney. The facility and its wood pontoons were in a state of disrepair. The NSW government decided it was time to do some upgrades to improve the marina’s functionality and available amenities. Among the concerns voiced were those of safety due to the deterioration of the docks. Residents worried the marina would be turned into a superyacht behemoth. They didn’t want to lose the serene atmosphere of the affluent neighborhood. Past proposals had sought to increase the marina size from nine berths to over 40 berths for boats up to 30 metres long. Homeowners were adamant that the marina not be filled with large party boats that would block the view of the waterfront and cause noise disturbances. 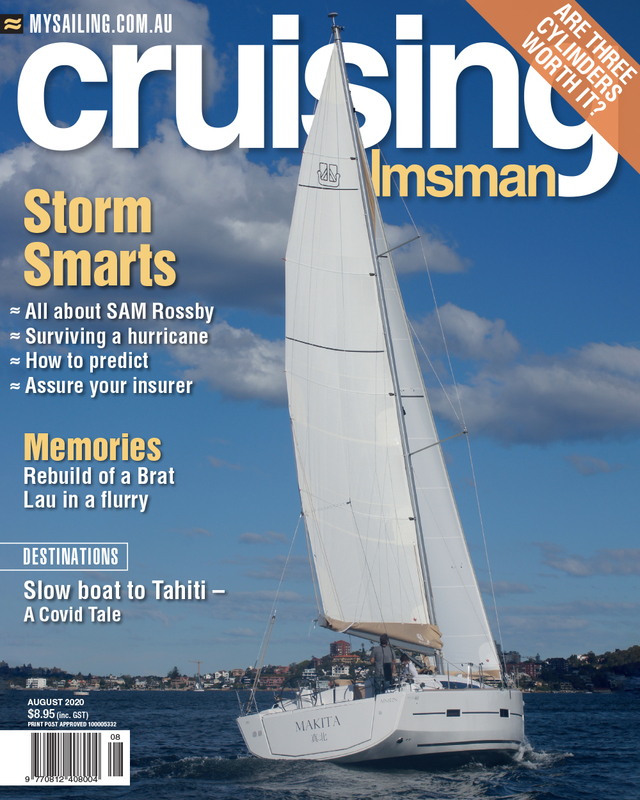 Bellingham Marine Australia worked with the authorities to develop a layout that would satisfy everyone involved. The new facility only grew to 13 berths, those ranging from 12 to 15 metres. There are also 47 swing moorings surrounding the marina as well as a 4 metre wide skirted wave attenuator to protect the site. A welcomed design element to the marina is a new launching pontoon for kayaks and paddleboards. In an effort to reduce the environmental impact and encourage growth of seagrass, the launching pontoon includes an area decked in a grated material that allows light to penetrate into the water. Bellingham Marine has been installing similar pontoons in the U.S. for many years. In addition, onsite at the marina is a new modern café, called The Lookout. To celebrate the long history of Elizabeth Bay Marina, furniture for the cafe was custom-made from wood salvaged during the demolition of the old marina.